Are an organic psychedelic soul and funk rock band from Wellington New Zealand. A hard working Six-piece outfit made up of hot NZ talent, their music transports us from Today's turmoil's and chaos to find loving connections with each other and our surroundings. This music has power, its foundation is built on a solid vintage vibe played on real instruments with a fresh organic sensibility. When you hear them for the first time it's like they've always been here, it's music to move you, with a message willing us to be present and awake to our actions and our environmental impacts. 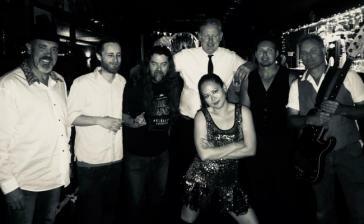 Formed in 2016 BRBB are bound by their passion of psychedelic rock, funk, soul and roots, individually they've played on charting albums, toured in bands, appeared in block buster films, worked as pro gigging and session musicians and played on some of the biggest stages and festivals in NZ and overseas. BRBB are building a strong and loyal following, they love to play live, feeding off the crowd's energy and delivering an impressive show each time. Their biggest gig to date was as main headline act for NYE in Nelson where they delivered an electric 75-minute set of originals to 20,000 party revellers keeping them on their feet well into 2019. 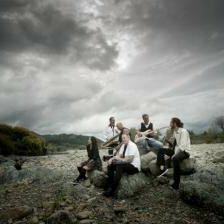 To date they've played a bunch of shows in the North and South Island including one of the last shows at the iconic Kings Arms in Auckland during the NZ Battle of the band's National finals in 2017. In 2018 they recorded a debut album with the legendary Dr Lee Prebble live at the Surgery Studios in Wellington, the album was engineered and mixed by Lee himself then mastered late 2018 by Mike Gibson of Munki studios. Their first single 'Blackyard Town' was released in Jan 2019 and hit #7 on the itunes NZ top 200 RnB chart, also featuring on Radio in Australia, USA, UK and local NZ Stations where it was selected as a Hit Pick by RadioActive 88.6FM and reached #9 on their Top11 countdown. The bands second single 'Walk of Shame' released 29/3rd/2019 managing to reach #20 on the United Kingdom iTunes top 200 blues charts in it's first week out. This song has also been supported on radio across New Zealand with Channel Z, RDU FM, Fresh FM Nelson, RadioActive, RadioAccess, Rockshop Radio & Te Upoko O Te Ika Maori Radio playlisting the tune. Their Next show will be at the NZ Music Month LOVELANDS underground invitation only gig 4th May 2019. With dates in Auckland, Raglan, Napier, Wellington, Nelson and Christchurch to follow. The Blue River Baby band have been working and evolving in Wellington for the last two years or so, and this tune is a clear representation of the style and sound that they have developed. 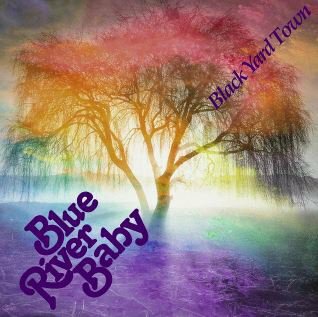 Black Yard Town moves through a range of tempo and dynamic changes in a funk/ soul context, with an arrangement that is in one way tight and at the same time fluid. You can hear the band working together in this recording, there is a real sense of experienced performers who understand the concepts of dynamics and groove, and how to add flavour with improvisation. The end result is powerful, and confident. Kudos to Blue River Baby for releasing this song-as a “single”- that is 7 minutes long.